Is Google AdWords Cost Effective for My Small Business? As a small business owner, you may have heard Google Adwords being bashed across the internet, that has led you to ask yourself, "Is Google AdWords really worth the time and money?" Or perhaps, "Is Google AdWords cost effective for small businesses?" Here's why you should use Google advertising. When Google AdWords first launched around 2002, it was pretty easy (and affordable) to get clicks on Google, kind of like Facebook today. 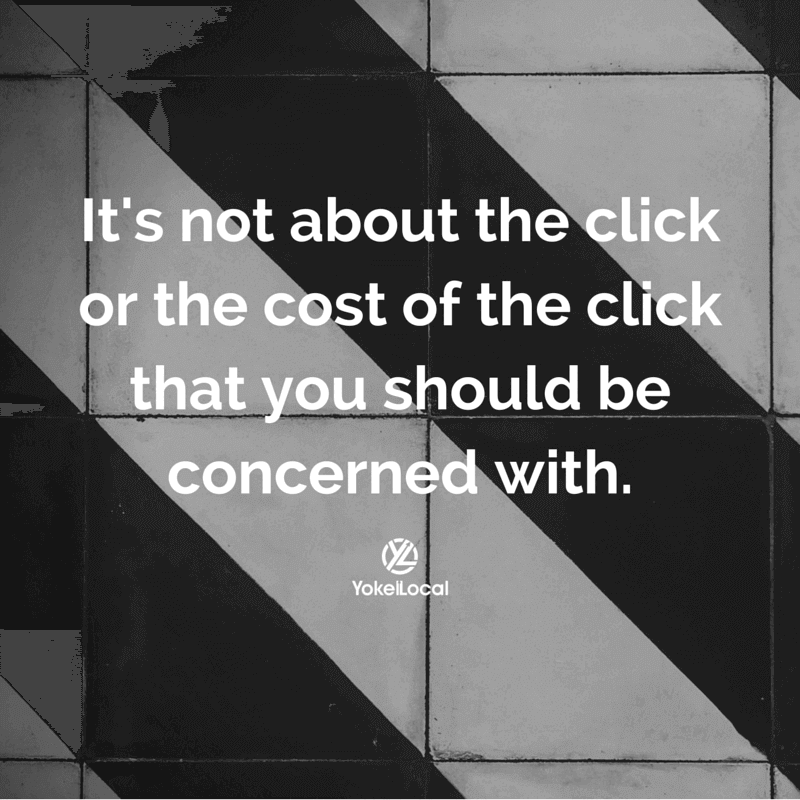 Though this has changed, cost-per-clicks should not be your primary concern. When it comes to AdWords, the cost-per-click does not determine the effectiveness or profitability of a campaign. AdWords keywords, regarding cost-per-click, can range from hundreds of dollars down to a few dollars per click. 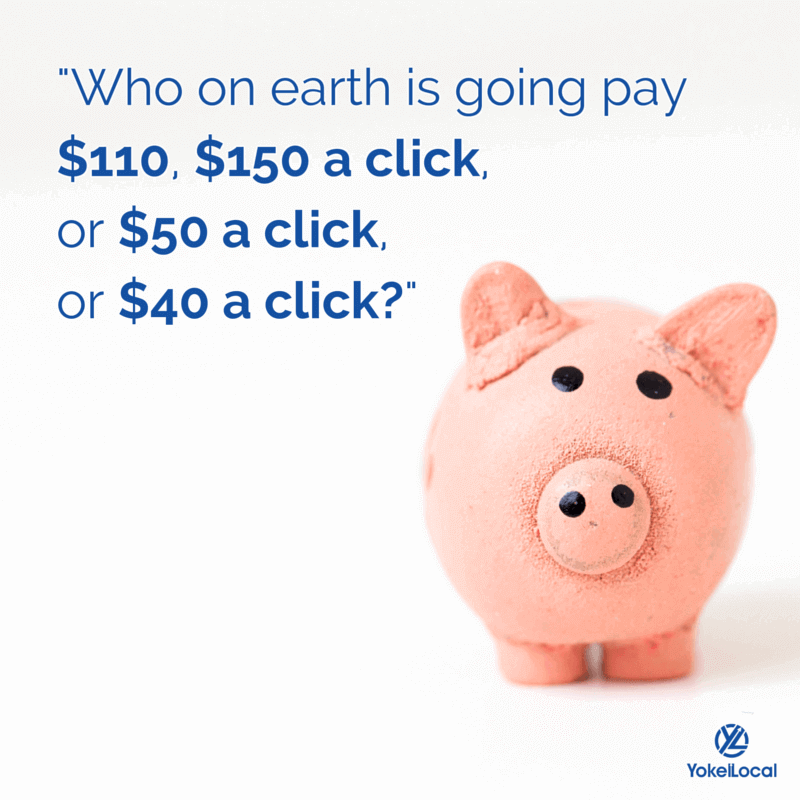 For those keywords in the triple digits, it is easy to wonder, “Why on earth would anyone pay that much for a click?” This tends to be the mindset of many of our clients. 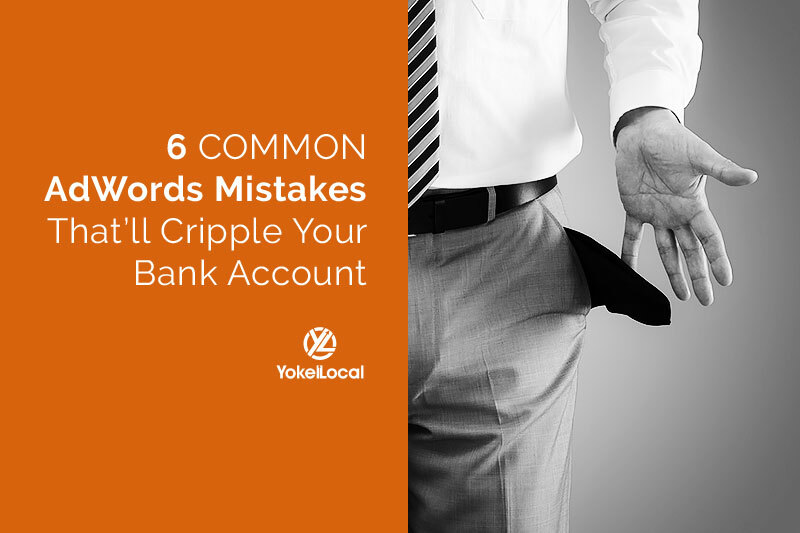 Because keywords may seem pricey, think about your customer value. That is, how valuable is a customer that seeks your business? Depending on your business, your customer value can be a few thousand dollars or $300,000. Shocking right? Using $300,000 for this example, does it really matter if you dish out $40, $150 or $400 dollars for 300 or 400 clicks if the value of your customer is $300,000? Probably not. Take into consideration the overall lifetime value of your customer when considering the true effectiveness of Google AdWords. 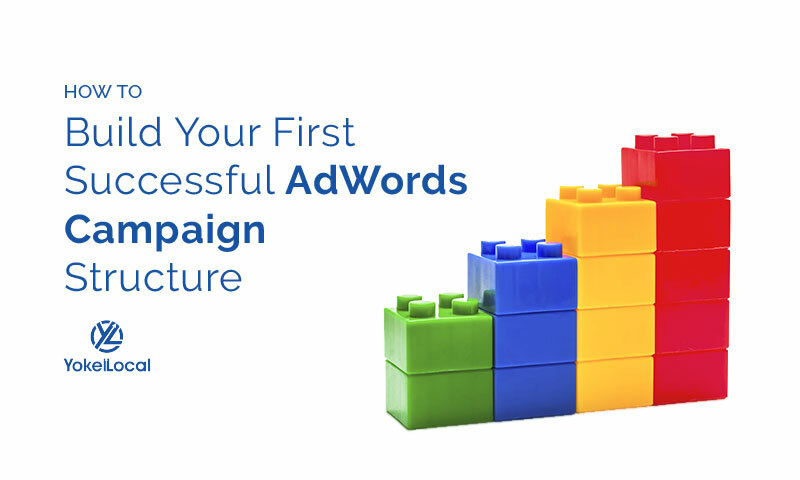 Don’t assume that cost-per-click is the only determining factor of an effective AdWords Campaign, as there are many. If you have any questions regarding internet marketing, from AdWords to facebook marketing and SEO, subscribe today to #AskYokelLocal. Hey, if you're sitting back as a small business owner and you're starting to run your own Google AdWords campaigns, and you're still wondering is it even cost effective, or maybe you're running campaigns and you're wondering, can this really work for my business, stick around. I'd like to answer that question or spend a little time on it in today's edition of #AskYokelLocal. Hey everyone, Darrell Evans here, Co-founder of Yokel Local Internet Marketing, and in today's edition of #AskYokelLocal, I want to talk about a question I get quite a lot, and that is whether Google AdWords is still effective for small businesses. I was online the other day and I was reading an article from Forbes, and they were absolutely bashing Google AdWords. And so, if you're not familiar, Google AdWords came out in 2002-ish, and of course, way back in the day, it was really inexpensive to get clicks on Google, as well as what we could be saying about Facebook today. You know, just several years ago, it was really inexpensive to get clicks on Facebook. 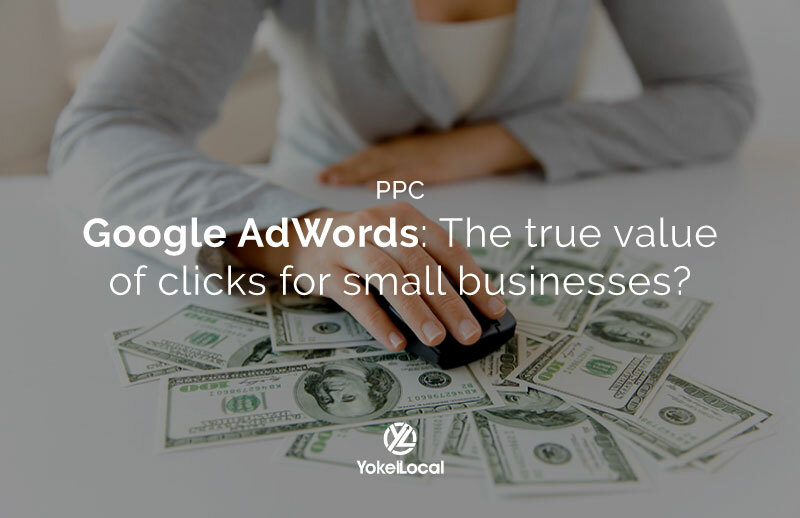 The reality is, it's not about the click or the cost of the click that you should be concerned with in terms of Google AdWords because the amount that it costs to click is not a determining factor on whether the campaign will be profitable or not. I had a meeting the other day, and we had keywords ranging in terms of cost per click from $110 to $150 a click, all the way down to $30, $40, you know, even $20 a click. So you sit back and you think, "Who on earth is going pay $110, $150 a click, or $50 a click, or $40 a click?" Now, if your niche is $1 or $2, don't worry about it, but just the mindset of the way this conversation went. So as we're having this conversation, the conversation evolves into, what is the value of a customer that comes into your business? And the answer, (you should sit down because this one might blow you away), the answer to the question was $300,000. So the value of this customer is $300,000, on average. Now, we're not going to get into the service that is being delivered, but it's $300,000. So I'll ask you, "Does it matter that we may have to buy 200, 300, 400 clicks at $150 a click if the value of the customer is $300,000?" The answer might be no. So I'd like you to think about this idea of lifetime value of your customer. This is something that I always have to discuss with small business owners. I'm going take it down to a really small example before I wrap up this video. We work, in our business, with a lot of local businesses, you know, recurring service providers, home service providers, professional service providers, accountants, lawyers, CPAs, doctors, and then down into the home service niche with pest control companies, and carpet cleaning companies, and pool service companies. And I want to use the pool service company as an example. Pool service in this market is about $80, $85, $90 a month, which works out to an annual payment or an annual amount of, say, $960 or $1,000. So, in the example, if we're buying clicks for $8, $10, $12, sure, we might blow through the initial month of $80 before we get a customer. We may go through two or three months. I mean, not that that's what's going to happen with us, but if you went through two or three months to get that first customer, it still would be worth it because we have a cost of acquisition to get that new customer. When I talk to the business owner, I say, "Hey, how long does your customer stay on board?" He goes, "Well, they usually stay for, you know, easily two years." I'm like, "Well, let's be a little conservative. Let's just say they stay for a year." So if it costs you, let's say, you ran a campaign and you spent $200 or $300 to acquire that customer and they stay for two years, and let's just say we just did it for a year, so your cost of acquisition is $200 or $300, but your lifetime value, even if you cut it down to a year, is $960 or $1,000. So, there's an ROI there. You just don't see the ROI on the front-end. So I just wanted to address the mindset of how to look at cost per click in the example of whether you're “determining” if AdWords is effective. Now, there's a lot more that goes into how to make campaigns effective, it's not just cost per click. And, there are ways to get lower cost per click, but I wanted to share that or answer that question today in today's edition of #AskYokelLocal. And I'd like to invite you, that if you're having questions about AdWords or anything online, Facebook marketing, SEO, just do us a favor and visit us on Twitter and hashtag the question "#AskYokelLocal" and ask your question there, and we'd love to create a video for you that might help you. My name is Darrell Evans, Co-founder of Yokel Local, and I'll talk to you next time. Take care.